STARTING IN 1918, CHEVROLET BEGAN MAKING ITS VERY OWN PURPOSE-BUILT PICKUP TRUCKS. 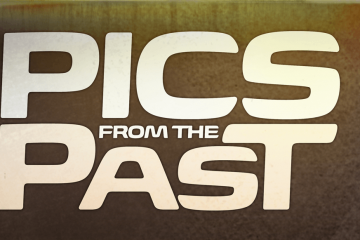 From farms to city work and factories, pickup trucks began to take their place as the workhorse of the automotive world. As time passed, Chevrolet not only changed with the times, but also adapted the platform in which it built its trucks to suit the loyal buyer. 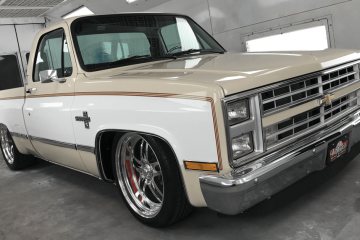 It became apparent to Chevrolet executives that the company’s trucks were not just for work to its customers; they were becoming a lifestyle choice. 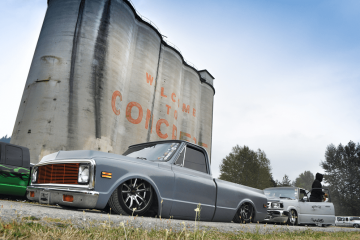 Nearly 50 years after its start with trucks, Chevrolet released one of its most loved trucks of all time: the C10/K10 series. By adding comfort and convenience to the already reliable line of trucks, the game was changed to say the least. Fast-forward another 50 years, and now Chevrolet is celebrating its 100th year of producing one of America’s favorite vehicles, the Chevy Silverado. 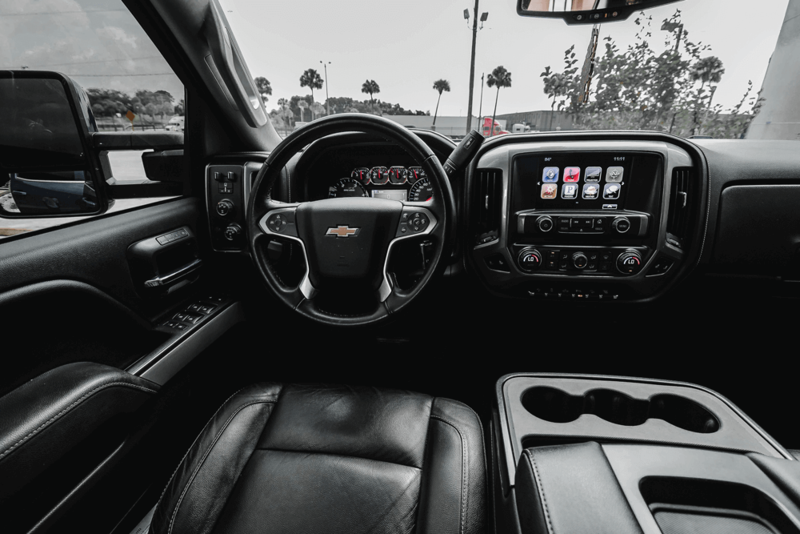 Packing more comfort and more power into them than ever was the main goal for the design engineers at GM, and now after the many years of R&D testing, its safe to say that the love for this GM truck will go on for years to come. 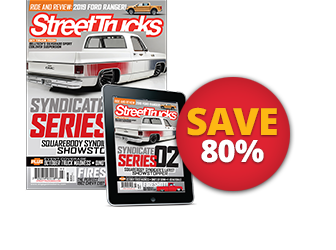 Whether buyers are loading them with construction supplies for another tough day at work, body dropping them onto the pavement for hobby and show, or lifting them far higher than the factory ever expected them to be, Chevy always has a loyal customer base it can always count on for support year after year. 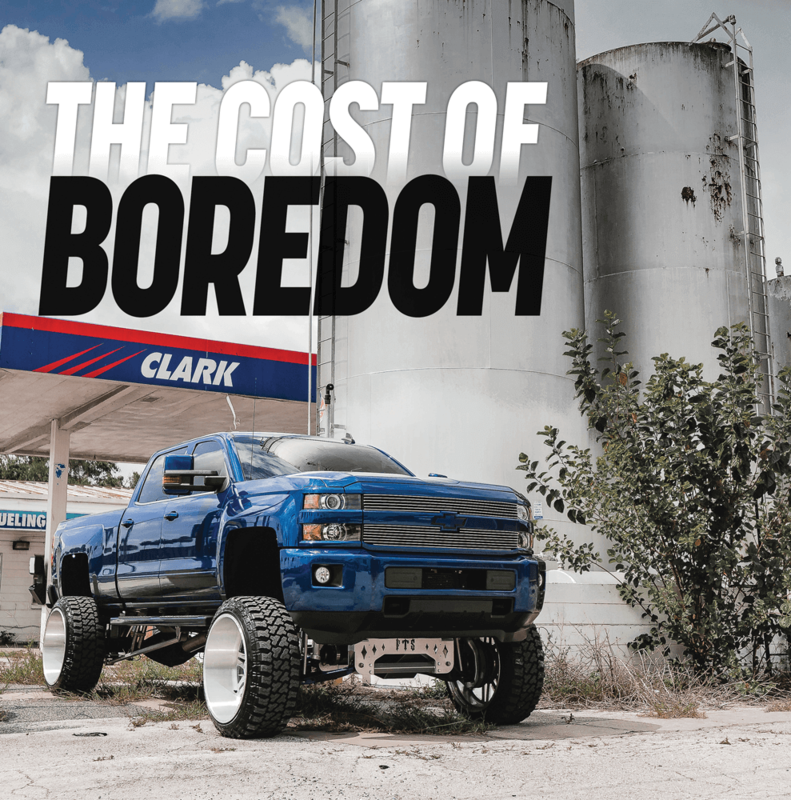 No matter what vehicle you may be passionate about, there comes a time in almost every car enthusiast’s life where his attention span gets much shorter than it used to be. 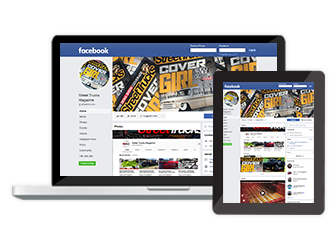 We no longer can achieve the long-term satisfaction of driving a fully modified vehicle once it’s been “out of the shop” for a while. This is getting more and more common to see in truck “scenes” these days; owners sell their builds a month or two after finishing them just so they can start a new project to out their passion into. That, or perhaps some of you really just hate saving money… take your choice. 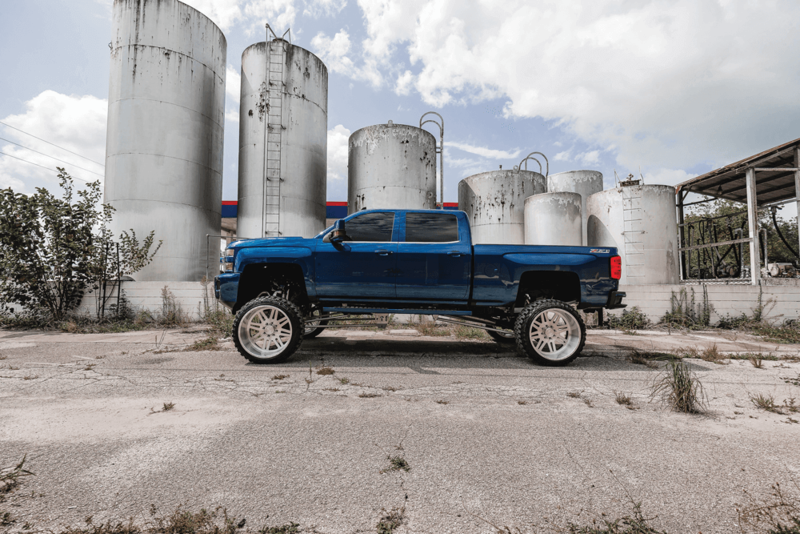 When it comes to Kevin Vail’s personal Silverado daily driver, he chose option B. After having a lifted MegaCab Dodge for years, Kevin decided it was time for a change and “Got out of Dodge” as he says. After some debating and shopping around, Kevin decided to join team Chevrolet and bought himself a brand new 2016 Silverado 2500HD in Deep Ocean Blue Metallic; and ever since that day, quite a lot has happened to this once modest-looking blue bowtie. 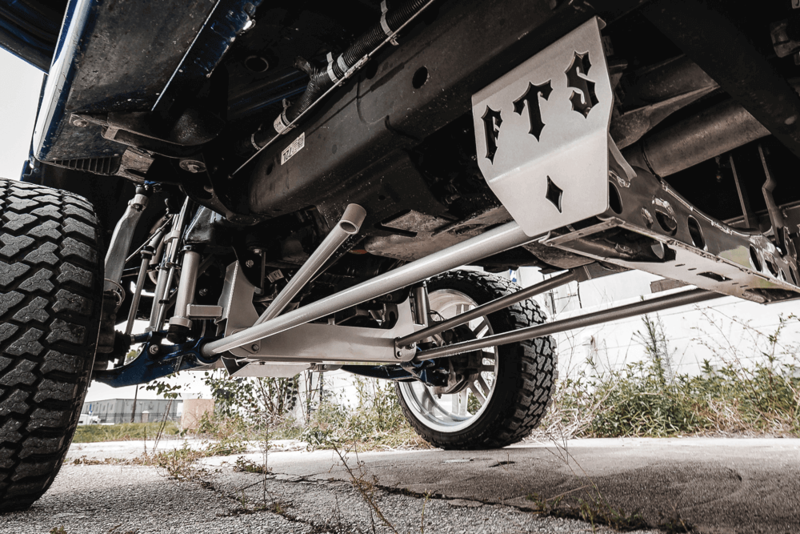 When the big day finally came, a few mumbled complaints could be heard from the delivery driver who had the task of unloading the FTS 10-12-inch single reservoir suspension lift. 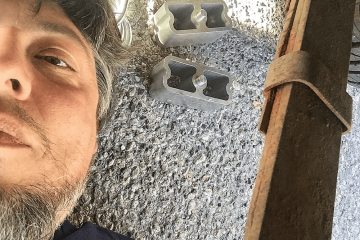 After delivery and inspection, all the available parts were sent to powdercoat. Anderson Performance Coatings took the time to prep and coat the parts in Alien Silver metallic. The silver against the blue metallic paint really pops, which helped with some other decisions made later for the truck’s future. With the help of Kevin’s friend Charles Kopach, the 2500 HD began to get transformed from stock to shut down the block. As the lift was being installed, Kevin said it was exciting to watch the Silverado climb higher towards the sky. Once the kit was in and the measurements could be made, the crucial task of picking the wheels arrived. 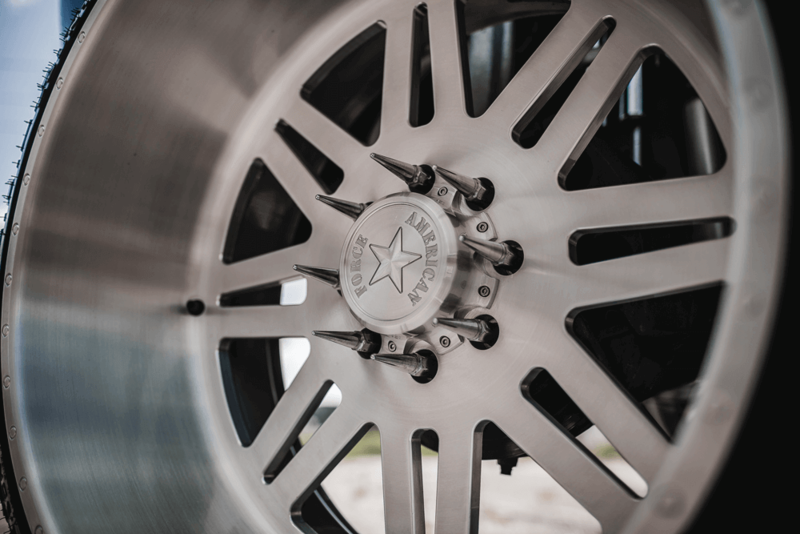 In a world of so many solid wheel options, it is never easy to pick exactly what wheel will set off the look of what is best for the driver and the truck itself. It is all about personality. It was an easy decision for Kevin though, ordering a massive set of American Force Liberty SS8s. 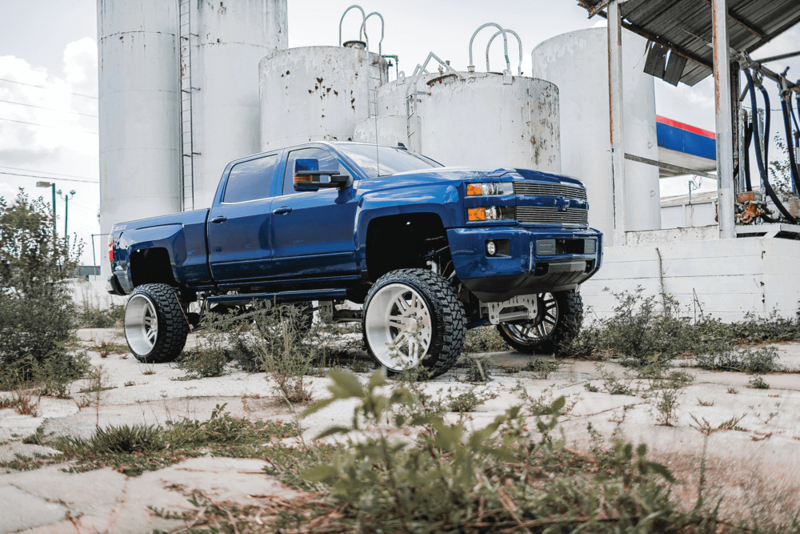 Being familiar with the lifted life, Kevin new a set of 20×12 wheels just wouldn’t cut it for a 10-inch or more of suspension lift. That being said, the specs he decided on put those to shame. 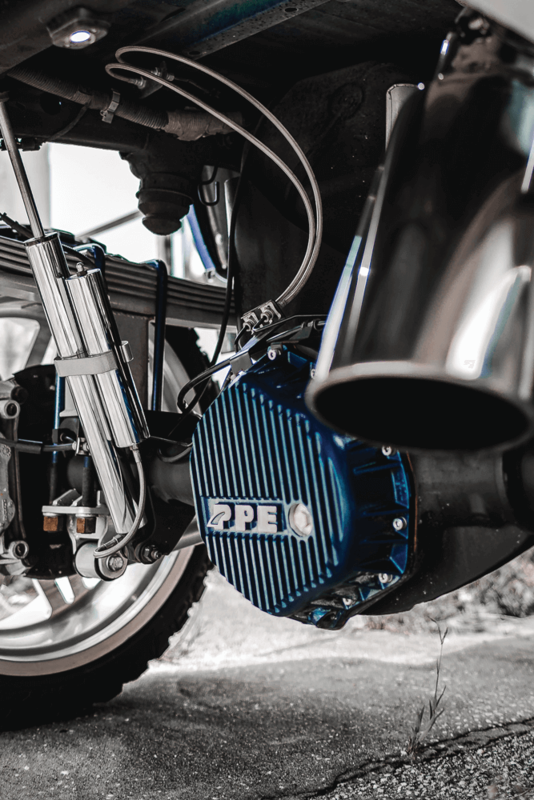 The set of four Forces were built to be 26×14 inches with a brushed finish chosen to accent the silver powder on the suspension, as well as stick out a little extra in a world full of polished wheels. With a set of 37×13.5-inch Fury tires, this is not the truck any mechanic looks forward to performing a rotate and balance on if it comes into their shop. Lift with your legs kid. This wheel setup isn’t light! To get some extra performance out of the 6.6L Turbocharged V8, an EFI live soft tune was added as well as an EGR delete… shhhh. An upgraded LB7 passenger side up-pipe, a 3-inch HSP down-pipe and a PPEI cold air intake were also added to help the flow of air, which in turn produces more power. Next on the list was exhaust to really get this Silverado sounding as good as the new performance made the truck feel. Flo-Pro 5-inch pipes lead to a 7-inch tip utilizing an axle dump exit. With a few more details like color matching the chrome trim and a Carriage works grille, the truck was ready to roll through retirement communities all over Florida, ensuring neck braces for everyone in sight.